13 October 2015 Washington, D.C. Any opinions expressed here are my own and do not necessarily reflect those of others on the Federal Open Market Committee. This talk† U.S. monetary policy is at a crossroads because central bank orthodoxy is being challenged. I will outline my version of a “classic” or “orthodox” interpretation of current macroeconomic events. I will then outline three important challenges to the orthodoxy. The challenges are interesting, but fall short of providing a reliable guide for U.S. monetary policy. † This talk is based on J. Bullard, 2015. “Three Challenges to Central Bank Orthodoxy,” speech delivered at the Shadow Open Market Committee Meeting, New York, N.Y.
Central bank orthodoxy The orthodoxy is simple. The FOMC has laid out clear goals based on a legislated mandate. The goals have arguably been met. The Committee’s main policy tools are the policy rate and balance-sheet policy. The settings for the policy tools remain far from normal. Prudent monetary policy suggests gradually edging the policy settings closer to normal, since the goals have been met and policy would still remain very accommodative. Three challenges to orthodoxy The challenges are:  “Strict inflation targeting”: The Phillips curve has broken down or is badly damaged. Accordingly, inflation is the only variable we need to consider when setting monetary policy.  “Low R*”: Real interest rates are exceptionally low. This can be interpreted to mean that current monetary policy is not accommodative, so ZIRP remains appropriate.  “Globalization”: Globalization has progressed to the point where foreign developments must be given a separate and distinct role in U.S. monetary policy. I will discuss all three challenges in detail during this talk. Each challenge has one or more important drawbacks. The orthodox view remains the best basis for near- and medium-term monetary policy decision-making. The classic or orthodox view What I am calling the “classic” or “orthodox” way to view current U.S. monetary policy emphasizes the cumulative success that has been achieved so far with respect to Committee goals. The settings for the Committee’s policy tools are, in contrast, extreme. The prudent choice for current U.S. monetary policy is to gradually move the policy settings closer to normal, so as not to take too much risk with extreme settings. There is little downside, as policy will still be exceptionally accommodative during the normalization process. The Committee has clear objectives: inflation near 2 percent and unemployment close to its long-run level. The Committee’s current estimate of the long-run level of unemployment is 4.9 percent.  There is considerable uncertainty about this estimate—it was 5.6 percent a few years ago. The Committee has arguably achieved its objectives as well today as it has at any time since 1960. The unemployment rate, at 5.1 percent, is within the Committee’s central tendency of the estimate of the longerrun rate. Given the uncertainty around this estimate, 5.1 percent is statistically indistinguishable from the value of the longer-run rate. This objective has been met. Source: Bureau of Labor Statistics and Federal Reserve Board. Last observation: September 2015. Alternative measures of labor market performance What about alternative metrics for labor market performance? Some, like job openings and initial claims for unemployment insurance, look very good, while others, like part-time for economic reasons and long-term unemployment, look weak. One way to get a handle on this issue is to build a labor market conditions index (LMCI). The St. Louis Fed has calculated the level of a well-known LMCI.† Its value is well above historical norms, indicating excellent labor market health. † See H. Chung, B. Fallick, C. Nekarda and D. Ratner, 2014. “Assessing the Change in Labor Market Conditions.” Board of Governors of the Federal Reserve System FEDS Notes. Source: Federal Reserve Board and author’s calculations. Last observation: September 2015. The inflation objective The year-over-year headline inflation rate is currently very low, close to zero. This is due in part to a very large oil shock that began during the summer of 2014.  The oil price decline is ultimately a bullish factor for the U.S. economy. Provided oil prices stabilize, this effect on headline inflation will dissipate in the quarters ahead. In the meantime, the orthodox view suggests looking at smoothed measures of inflation, such as the Dallas Fed’s trimmed mean PCE inflation rate. Source: FRB Dallas and Bureau of Economic Analysis. Last observation: August 2015. The inflation objective The current value of the year-over-year Dallas Fed trimmed mean PCE inflation rate is 1.7 percent. This is within 30 basis points of the FOMC target. Central bank orthodoxy suggests looking through commodity price shocks, either positive or negative. Arguably, the inflation goal has been met.  𝜋𝜋 is inflation (core PCE, y-on-y) and 𝜋𝜋 ∗ = 2% is the target rate of inflation.  𝑢𝑢 is the unemployment rate and 𝑢𝑢∗ = 4.9% is the median longer-run value of the September FOMC SEP. This version puts equal weight on inflation and unemployment and is sometimes used to evaluate various policy options. Source: Bureau of Economic Analysis, Bureau of Labor Statistics and author’s calculations. Last observation: August 2015. The case for normalization The Committee’s goals have essentially been met.  The joint distance of unemployment from its long-run level and inflation from the 2 percent target is about as low as it has ever been in the past 50 years. In contrast, the Committee’s policy settings are at emergency levels.  The Fed’s balance sheet has increased to about $4.5 trillion, up from $800 billion in 2006. 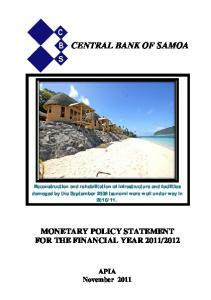  The policy rate remains at about 13 basis points, where it has been for nearly seven years. The Committee thinks the long-run level of the policy rate should be about 350 basis points. Source: Federal Reserve Board. Last observation: week of Oct. 7, 2015. Source: Federal Reserve Board. Last observation: week of Sept. 30, 2015. Monetary policy remains accommodative With the balance sheet exceptionally large and the policy rate exceptionally low, the orthodox view is that monetary policy remains very accommodative. The Committee currently expects the policy rate to approach a long-run normal level several years from now, and the balance sheet to approach more normal levels even further in the future. Policy will not be restrictive in any conventional sense for many years. Prudent monetary policy A prudent monetary policy based on traditional central banking principles would begin to return policy settings to normal levels over the medium term. Advantages:  Policy settings return to historical norms associated with a better understood macroeconomic equilibrium.  Policy accommodation still provided during the transition.  Higher probability of a longer expansion. Overemphasis on labor markets? The first challenge to orthodoxy suggests that labor markets have been overemphasized. Phillips curve relationships have broken down completely or are badly damaged.† Alternative version: All the information we need from the Phillips curve can be read off of actual inflation outcomes. Either way, this challenge puts much less weight on labor market outcomes relative to the orthodox view. I call this “strict inflation targeting” because it is like a Taylor rule with zero weight on an output or unemployment gap. † See O. Blanchard, E. Cerutti and L. Summers, 2015. “Inflation and Activity.” Unpublished manuscript, presented at the 2015 ECB Forum on Central Banking, Sintra, Portugal. This challenge’s policy recommendations The policy implications of the strict inflation targeting view are clear. One often hears that policy should only be normalized when actual inflation threatens. The strict inflation targeting view dispenses with or substantially discounts the empirical evidence on labor market performance as a reason to begin normalization, in sharp contrast with the orthodoxy outlined earlier. Strict inflation targeting cannot justify ZIRP An important drawback to the strict inflation targeting view is that it cannot easily justify the current policy of a zero interest rate. Essentially, the current inflation gap is too small to rationalize a zero policy rate based on low inflation alone. Consider a standard Taylor-type policy rule with only the inflation gap as an argument, which is what strict inflation targeting means. For the sake of argument, let’s say that underlying inflation is 30 basis points below target. High elasticities Suppose this 30 basis point gap is sufficient, by itself, to rationalize the current near-zero policy rate, which is about 325 basis points below the Committee’s estimate of the longrun level. One would then be saying that if underlying inflation was 30 basis points above target, the appropriate policy rate would be 6.5 percent. This sensitivity of the policy rate to inflation outcomes is too high to be consistent with ordinary central banking practice. The next chart shows what such a policy rule would have recommended since 1984. Source: Board of Governors, FRB Dallas, Bureau of Labor Statistics, and author’s calculations. Last observation: August 2015. Implications of strict inflation targeting The strict inflation targeting rule was engineered to justify today's near-zero policy rate based on today’s inflation gap alone. This suggests a coefficient of 10 on the inflation gap. Such a large coefficient would have implied very high policy rates at some points in the past, including during the 2000s. Given normal stochastic variation in inflation, this level of policy sensitivity would risk destabilization of the economy. Strict inflation targeting may provide a reason to set the policy rate below its long-run level, but not all the way to zero. Low real interest rates on short-term government debt Real interest rates on short-term government debt and related securities are exceptionally low globally. Central bank orthodoxy, as embodied in a Taylor-type policy rule as originally constructed and estimated, thinks of shortterm real interest rates as being approximately constant. The second challenge to central bank orthodoxy is to emphasize the implications of very low and time-varying real rates. The crux of the challenge is to suggest that monetary policy is actually not very accommodative today, therefore the ZIRP may remain appropriate. How could it be that monetary policy is actually not very accommodative today? Consider a standard Taylor-type policy rule, which has a short-term real interest rate as one of its parameters. † See J.B. Taylor, 1999, “A Historical Analysis of Monetary Policy Rules,” in J.B. Taylor, ed., Monetary Policy Rules, Chicago: University of Chicago Press. What is R*? Let’s suppose that the gaps are actually zero. Then the policy rule collapses to a Fisher relation: Rt = Rt* + π* The inflation target is 2 percent. But what is the real rate R*? In the orthodoxy, it is a constant equal also equal to 2 percent, so the recommended policy rate is R = 4 percent. In the challenge, it is very low, let’s say –2 percent, so the recommended policy rate is R = 0. Thus, this argument can rationalize ZIRP even in the current environment where gaps are essentially equal to zero. What should we make of this challenge? Two reactions to this challenge. First, this argument suggests that the current very low policy rate is not part of an accommodative monetary policy, but is instead part of a neutral monetary policy appropriate for an economy with normal labor markets and inflation at target. This contrasts sharply with most rhetoric around monetary policy. Second, is it really sensible to claim that real interest rates relevant for this issue are as low as –2 percent?  Probably not, as I will now explore. The natural real interest rate In the orthodoxy, the value of R* is fixed, usually at 2 percent. In order to calculate a time-varying Rt* we can use  Theory-based measures, such as:† • The growth rate of per capita consumption. • Total Factor Productivity (TFP) growth + population growth. All methods suggest a value higher than –2 percent currently. † See W. Dupor. “Liftoff and the Natural Rate of Interest.” St. Louis Fed On the Economy blog post of June 5, 2015. †† See T. Laubach and J.C. Williams, 2003. “Measuring the Natural Rate of Interest,” REStat, 85(4): 1063-70. Source: Bureau of Economic Analysis, Bureau of Labor Statistics, Census Bureau and author’s calculations. Last observation: 2015-Q2. Bottom line on low real rates This challenge to orthodoxy, like others, is interesting. However, it is unlikely that the current ZIRP can be rationalized by an appeal to low real interest rates alone. By some measures, the traditional assumption of a constant short-term real rate equal to 2 percent is about right in today’s environment. Globalization The march of globalization continues, with emerging market economies growing, on average, faster than developed economies. The third challenge to orthodoxy is to suggest that because of increasing globalization, foreign economic developments need to be taken into account, separately and distinctly, in U.S. monetary policy deliberations. See J. Bullard and A. Singh, 2008, “Worldwide Macroeconomic Stability and Monetary Policy Rules,” JME, 55(Supplement), pp. S34-S47, J. Bullard and E. Schaling, 2009, “Monetary Policy, Determinacy, and Learnability in a Two-Block World Economy,” JMCB, 41(8), pp. 1585-612, and J. Bullard, 2014, “Two Views of International Monetary Policy Coordination,” Remarks delivered at the 27th Asia/Pacific Business Outlook Conference, USC Marshall School of Business–CIBER, Los Angeles, California. In the literature, each domestic monetary policymaker conducts an appropriate stabilization policy for its own country, and this leads to the best, or nearly the best, global allocation of resources. The literature on global monetary policy The literature sets up a stark environment to clarify ideas. Each country is a New Keynesian economy. Each country has an independent monetary policy that reacts to country specific shocks through a Taylor-type monetary policy rule. Exchange rates are flexible. There are free capital flows. My reading of the literature: If each policymaker pursues an appropriate domestically oriented monetary policy, the global allocation of resources will be optimal, or close to optimal. Practical implications The key idea is an “appropriate domestically oriented monetary policy.” Think of a Taylor-type policy rule with a domestic inflation gap and a domestic output gap, and coefficients that are optimally chosen. The domestic policymaker does not need to react separately and distinctly to foreign output or foreign inflation gaps, no matter how large the foreign economies are. This result holds for an environment that is “fully globalized,” so this does not depend on the degree of globalization. Bottom line on globalization Globalization is a long-run megatrend that affects how we think about macroeconomics. Nevertheless, some of the literature on optimal global monetary policy suggests that even in a fully globalized world, domestic monetary policymakers do not need to react separately and distinctly to foreign economic developments. Intuitively, the foreign central bank is offsetting foreign shocks, and that, combined with the flexible exchange rate, means that the domestic policymaker does not need to again react to the foreign shock. This provides food for thought on this issue. Conclusions This talk has outlined my version of central bank orthodoxy, along with three challenges. The orthodoxy suggests a prudent policy of returning policy settings to more normal levels gradually over time, providing plenty of monetary accommodation during the transition to guard against macroeconomic risks. The challenges all contain a version of “this time is different.” The challenges ultimately do not provide sufficiently robust arguments to guide current U.S. monetary policy. Cumulative progress versus the latest data The orthodoxy argues for normalization of U.S. monetary policy based on cumulative progress toward Committee goals, not based on the latest movements in the data. Policy will remain exceptionally accommodative even as normalization proceeds, because policy settings are far from anything that could be called restrictive. This continued accommodation will provide plenty of insurance against any remaining risks to the U.S. economy, and simultaneously it will mitigate against the dangers of maintaining extreme policy settings in an environment where conventional gaps have essentially narrowed to zero. Report "More on Three Challenges to Central Bank Orthodoxy"